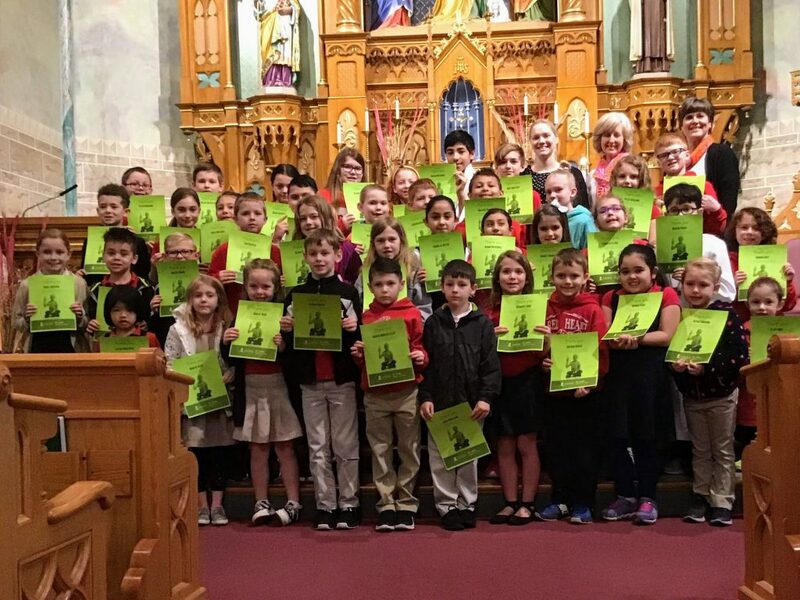 Sacred Heart elementary students continue the tradition of helping to save lives through the St. Jude Children’s Research Hospital Math–A–Thon. This year, 40 students participated in the Math–A–Thon to raise $9,077.06 — all of which goes directly to St. Jude. Sacred Heart School has participated in the Math–A–Thon fundraiser since 1987. Within that time, its students have raised over $183,000 for the children at St. Jude battling cancer and other terminal diseases. Participants of the Math–A–Thon completed a digital Funbook filled with math problems to complete. They also found family and friends to sponsor their participation in the program. 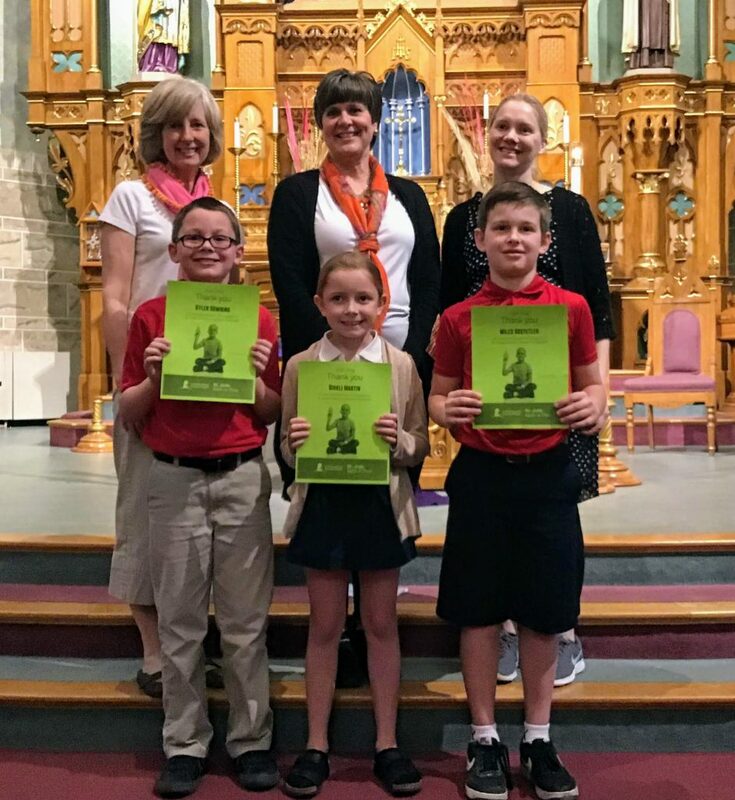 St. Jude rewarded students with T-shirts and prizes depending on the amount of money raised through the fundraising effort. In the interest of securing additional revenue for St. Jude, some students opted out of receiving their prizes. The St. Jude Math–A–Thon – America’s largest education-based fundraiser – is a supplemental matheducation program for kindergarten through eighth grade that also raises funds for St. Jude Children’s Research Hospital. Treatments invented at St. Jude have helped push the overall childhood cancer survival rate from 20 percent to more than 80 percent since the hospital opened more than 50 years ago. Participation in the St. Jude Math–A–Thon helps ensure that families never receive a bill from St. Jude for treatment, travel, housing or food. Pictured with the faculty coordinators are the three top earners. From left: front row – Kyler Downing ($2,184) , Birkli Martin ($2,250), Miles Hostetler ($420). Back row – Mrs. Julie Sobaski, Mrs. Jeannine Dove, Mrs. Zoey Plummer, Mrs. Rhonda Kusgen (not pictured).